Homeowners at Satake Estates in Mountain View are out to save the world. 36% of all homeownerâ€™s to date have chosen the solar option for their home. 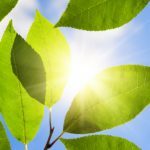 That number is sure to grow with more buyers choosing green options.Â And, even buyers who may not choose the option now, have the option to add solar in the future as SummerHill is pre-wiring every home for solar. Can you spot the solar tiles? The solar tiles are just slightly darker than the other roof tiles. Amazing, right? Reduce your energy bills, get a 30% tax credit and help solve global warming. That is the goal and Satake Estatesâ€™ homeowners are joining in the solution. Saving with solar is alive and well at Satake Estates.